We are very excited to unveil our new Tomasetti Law website. We have a long, successful history. We partnered with a local Bethany Beach web design company, iKANDE, to bring our vision to life and reach potential customers online. The new website is built on WordPress, a very user-friendly content management system. It allows our team to easily edit content and add posts. 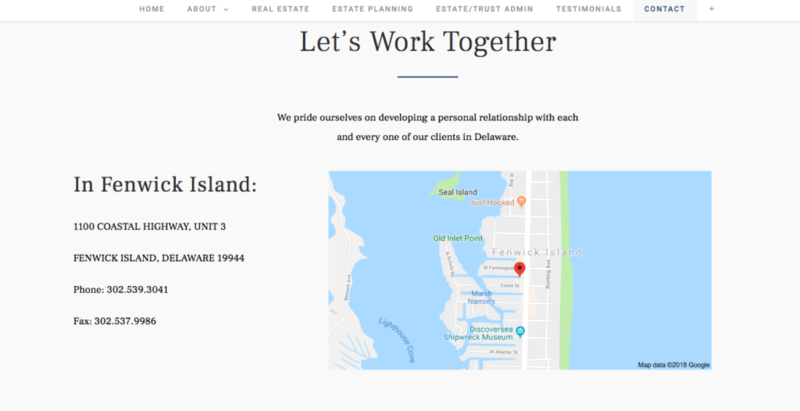 Tomasetti Law’s website now features an interactive navigation with an on-site blog to serve as a resource for company and industry related news about Real Estate law, Estate Planning, and Estate/Trust Administration in Delaware. This is an exciting new feature to our redesigned website. Using responsive web design technology, our site will respond and adapt according to the orientation of our visitor’s screen size and resolution. Now, our visitors can view our website on varying platforms, including smartphones, tablets, or standard-size computers, allowing easier access to our website and the information within. 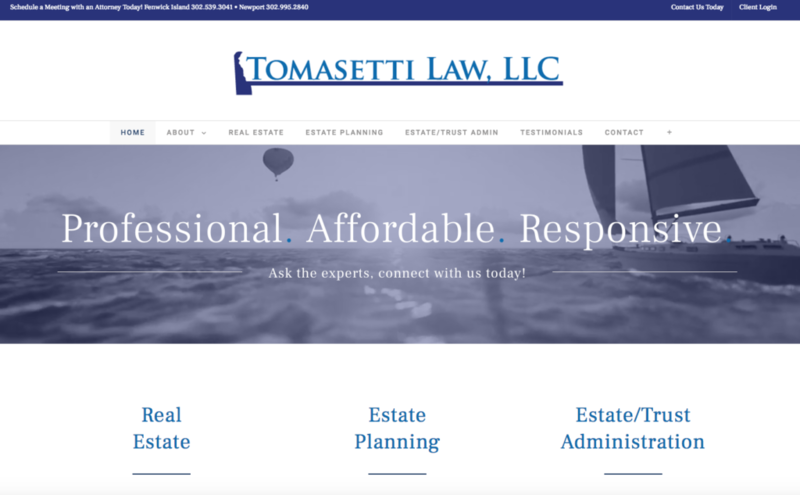 Charles “Chip” Armbruster, III, attorney at Tomasetti Law, found the WordPress platform to be user friendly, making our new site easy to manage. Our homepage, company information, products and services, blog and contact information are presented with ease for our visitors using clear navigation. Aside from the ease of the front end layout, WordPress features a back end that is just as user friendly. Within just a couple of hours of training, iKANDE taught us how to update content, post blog entries, and more. The “Contact Us” form allow us to generate quality leads with ease. Visitors are able to request a quote or schedule a consultation just by filling out the form on the contact page. By saving time and simplifying office processes, the form acts as one of the more advantageous features on our new website. We received four great leads within the first 2 weeks the new website was live.